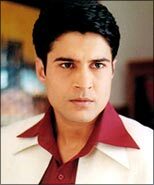 Those missing Rajeev Khandelwal � the original Sujal of Kahin To Hoga � won't have to wait any longer. Starting April 28, Khandelwal will be seen hosting the popular game show Deal Ya No Deal on Sony. Is Deal Ya No Deal a big deal for Rajeev Khandelwal? Right from the day I began my career, I have believed that no 'deal' is small when it comes to acting -- whether it is Kahin To Hoga, Time Bomb, Deal Ya No Deal or the recent music video I have acted in. I want DYND to be a big deal for viewers of the show across the country. But why a game show? This is the first time you are doing something like this. Do you think you will be successful? Because 'the host of a game show' is a challenging role! The show has changed a lot since when it was hosted by Madhavan and Mandira. It has returned to the US format and the role of the host has changed completely. In fact, this is the first time I did not do much homework for the show. I learn only from class work! From everyone on the sets � the studio audience, models and even participants. I am trying my best to communicate with everyone on the set to make the show a big success. To be frank, I rejected the offer when it first came to me. But when I read the format and thought it over, I was excited. I felt I could take up this challenge. People would see me as I am! I believe in destiny. If this show is to be successful, it will. Madhavan and Mandira have done the spadework. I just have to carry on. DYND is still among Sony's top four shows. It's a fresh start for me and the show, so let's hope for the best. So, you want to be more known as Rajeev Khandelwal? Not Sujal? (smiles) It's surprising� It's been more than a year since I left Kahin To Hoga, but everyone still refers to me as Sujal. I take it a compliment. Now, they will see the real Rajeev Khandelwal. (excitedly) I really didn't know why our pair clicked so well! Looking back, I feel that Amna's beauty and my 'rawness', combined with the novelty of the show, contributed to the success of our pair in Kahin To Hoga. Off-screen, we are real good friends, nothing else. I wouldn't like to say anything else on our off-screen chemistry. Are you working on any serials now? Some time back, Amna and I shot for the pilot for a serial called Hum Do Humhare Nau. Although I have no clue which channel this will be telecast on, I am sure it will be successful. I am also doing a new serial for Sab TV called Left Right Left. Any new offers from Balaji after you walked out of Kahin To Hoga? Have you called a truce with Ekta Kapoor? (smiles) Firstly, let me clarify � there was no fight between us when I walked out. We parted ways amicably. Even if Balaji offers me a new serial, I will take a call. So what have you been doing all this while? Working on a daily soap for two years is very tiring. It extracts every drop of energy you have. Money was never a criteria for me. I wanted to enjoy myself, so I took a break. I spent time with my family, tried adventure sports and did everything I always wanted to but never could due to time constraints. I have been enjoying my life and travelling. hi rajiv, hru u look good ur best in acting. HIIIIIII RAJEEV. U R THE BEST. I like you a lot.In my point of veiw you really act well.With Shveta you look a cute couple.